At Meier's Pharmacy, you’ll find knowledgeable and caring pharmacists who know the answers to your health-related questions. We are ready to help you with your prescriptions and can guide you through the sometimes confusing process of getting the medicine you need. 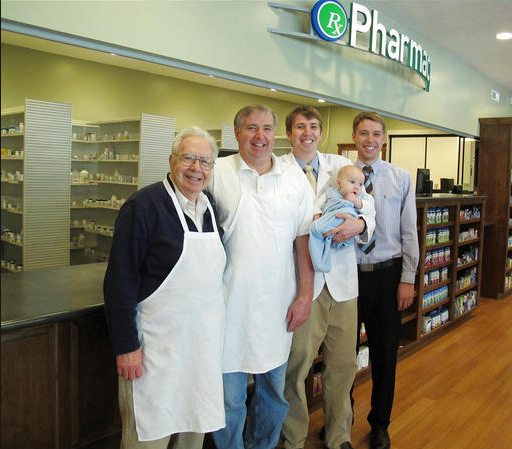 Meier's Pharmacy is family owned and operated. But don't let that worry you. We offer the same quality products with the same co-pay at just as competitive pricing as your large chain pharmacies. If you don't have insurance please still visit us. With our competitive cash prices and price match program we will happily still serve you. We guarantee only the highest quality and safety on all of our prescription drugs. Our talented pharmacy staff will review your order to ensure you are getting exactly what you expect. We accept most insurance plans. Your co-pay will be the same and if you don't have insurance please still visit us. With our competitive cash prices and price match program we will happily still serve you. We know life gets busy, or that sometimes it's your not physically able to pick up your prescription. That's why we offer the convenient service of home delivery.